Frankincense (Boswellia carterii)includes the naturally occurring constituent boswellic acid, and has a woodsy, warm, balsamic aroma. 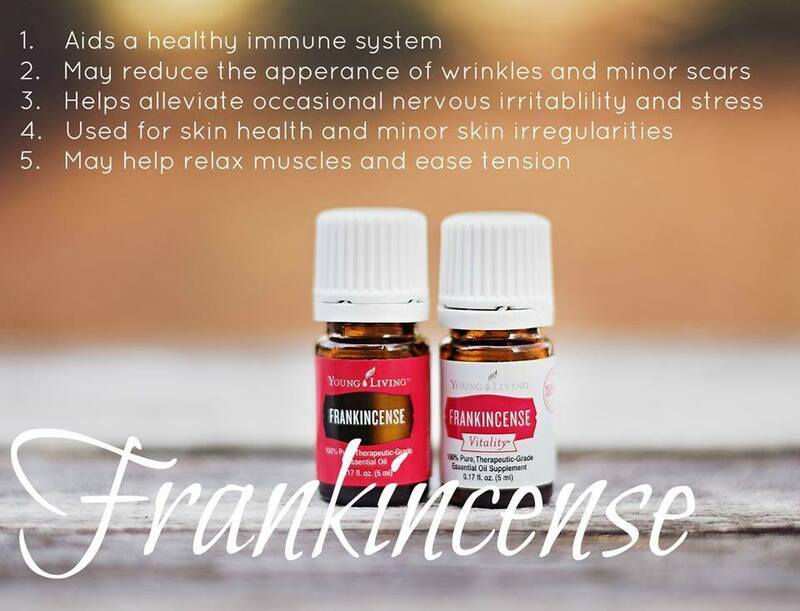 Diffuse Frankincense when dealing with everyday stresses. Applying this oil topically may help smooth the appearance of healthy-looking skin, and is excellent to use for massage after activity. 3-4 drops all over the neck and outer ears. Great to center your emotions because it’s very grounding. Use a drop in a neti-pot for a nasal rinse. For a rinse add 1 drop oil in your salt and then add salt to the water. Oil and water don’t mix and by adding to salt first, it will emulsify it into the water.